NMS works as a standard application, but it can be configured to run as a service. This results in the fact that the logout from the server does not interrupt the work of NMS and does not end the recording. NMS allows the administator to add Active Directory users – the log on to Windows Server and NMS by using the same password is possible. This is a very useful function in advanced systems, based on the domain network. Administrator copies the logins of users from Windows Server to NMS. Therefore, when the user log in to the server, he can access the NMS by using the same password. The software allows the user to capture text data from cash registers, access control systems, cash machines, etc. This allows the operator to confront the camera image with text data (eg. receipt or employee cards). NMS can deliver messages through the speakers connected to the camera after connecting the microphone. This feature is very useful in urban monitoring. 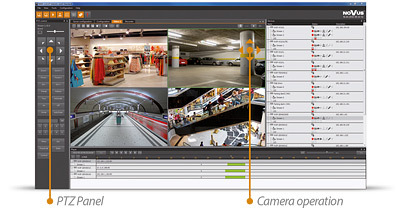 NMS software allows the user to control PTZ cameras (including megapixel cameras) directly in the camera image. The cursor and mouse wheel movements are processed by the program into commands. 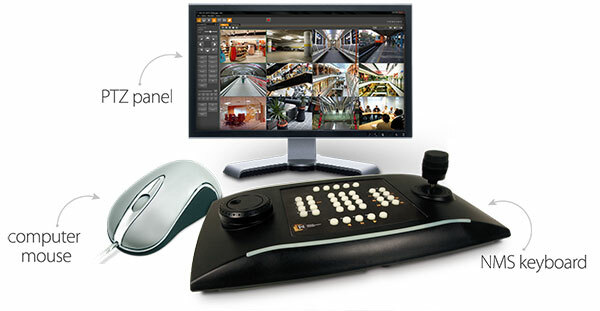 A classic PTZ control panel displays – in addition to the directional cursors – the commands for recording and executing predefined functions of the camera (eg. presets, routes). NMS software also supports keyboard with joystick (connected to the workstation via the USB port). With the keyboard the user can both control the camera, as well as carry out basic functions of NMS (eg. switching views, playback). NMS platform can work with some image analyzing servers. NMS ANPR (Novus Management System - Automatic Number Plate Recognition) is a dedicated program designed for automatic recognition of license plate numbers. When the vehicle appears in the field of view of the camera, the software analyzes the image and read the license plate. All results are saved along with the date, time and other parameters predefined by the user. The software also allows the user to manage the barrier and define temporary or permanent permitions for cars to drive though. 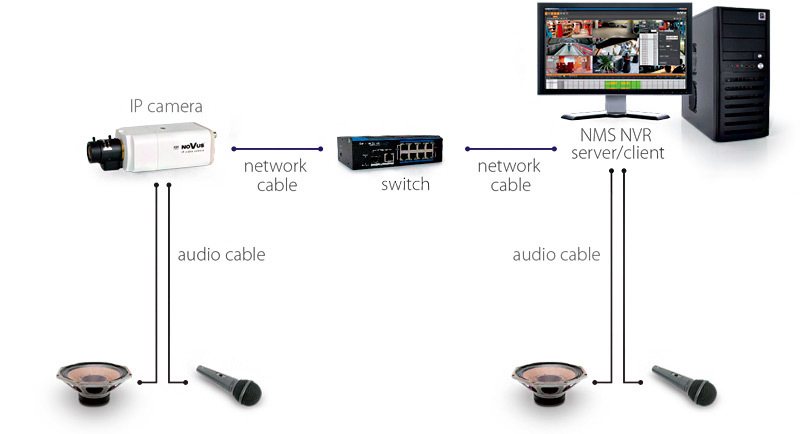 Depending on the license type the NMS ANPR program can support one or two video channels. For each channel the user can configure up to 4 recognition zones and set the analysis parameters. The number of channels depends on the type of license key connected to the computer. The region (European Union or Eastern Europe) requires proper installation file. Only one NMS ANPR program can be installed on one computer.